Phone use behind the wheel is one of the biggest causes of car crashes in America. Although it’s hard to be exact, it’s probable that at least a quarter of car crashes (over 2.5 million) are caused by drivers either talking on their phones or texting. Even when drivers know the risk of using their phones when they’re behind the wheel, many are still willing to take it because of overconfidence in their skills, separation anxiety and “fear of missing out”—a deadly combination. And according to a new study, many drivers don’t even perceive texting and driving to be as dangerous as it’s proven to be. Researchers asked drivers about perceived crash risk, their driving ability and the likelihood of using their phone. They discovered that many people still believe that the effects of phone use on drivers are minor. In this particular study, 68 percent of the research participants acknowledged that they would need a lot of convincing to believe in the dangers of texting and driving. This number is shocking, considering how many crashes are caused by distracted drivers each year. The researchers also discovered that more experienced drivers are less likely to drive distracted. However, this doesn’t mean that they don’t use their phones at all. They’re simply less likely to do it. Middle-aged drivers still use their phones even if there are children in the car, which not only endangers the children but also encourages young people to copy this behavior when they begin to drive for themselves. Teenagers and young adults who cannot imagine putting their phone away and who are not exposed to good driving behaviors will continue joining the ranks of drivers for years to come. As a result, phone use behind the wheel is expected to increase. Although many people acknowledge texting and driving is a risk in others, they don’t think it’s a risk when they do it themselves. They believe they are better than the average driver or more “skilled at multitasking” behind the wheel. But people who text and drive are six to 23 times more likely to be involved in a crash than those who don’t. One of the main reasons for this is simple: texting takes a driver’s eyes off the road. There is no such thing as multitasking when it comes to looking where we’re going. And every moment counts because the distance covered by the car in a single second is substantial. It might appear logical to some drivers that if nothing bad has happened yet, it must be because they’re good at texting and driving and not because they’ve been lucky so far. Unfortunately, as the statistics show, luck eventually runs out. Are there solutions to overconfidence? If the number of people who don’t believe in the dangers of texting and driving is as high as the study suggests, then more forceful measures are required to influence society’s perception of this problem. Using any sort of device while driving should carry with it as much social stigma as drunk driving does. People should also be encouraged to speak up or act when someone they know or care about texts and drives. Social influence and early education change perceptions faster than laws do, so parents must lead by example and never use their phones while driving. Putting their phone away before each trip, and doing so in plain view of their children, is a great visual signal that phones and driving don’t go together. Health and safety professionals can influence their workers’ habits by designing campaigns and implementing new policies regarding phone use in company cars or on company time. This will hopefully affect how the employees perceive the problem and how they behave when driving their own vehicles. Companies should also consider providing their employees with relevant courses, information on distracted driving and even educational materials to take home to their loved ones. Doing so will help keep workers safer. It also sends a clear signal that their employer truly cares about their safety and the safety of their family. 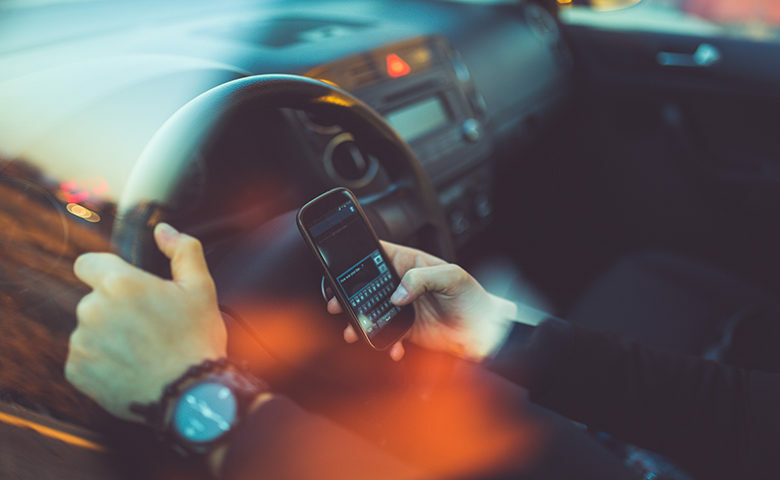 Even with new laws in place, people’s perceptions need to change to prevent all the fatalities and injuries caused by texting and driving each year. And if the research mentioned above is anything to go by, new laws are only the beginning of the road. Early education, social pressure and involvement from employers could go a long way to ensuring that everyone gets home safely at the end of the day. Learn how to drive distraction away and get drivers to keep their eyes (and mind) on the road.